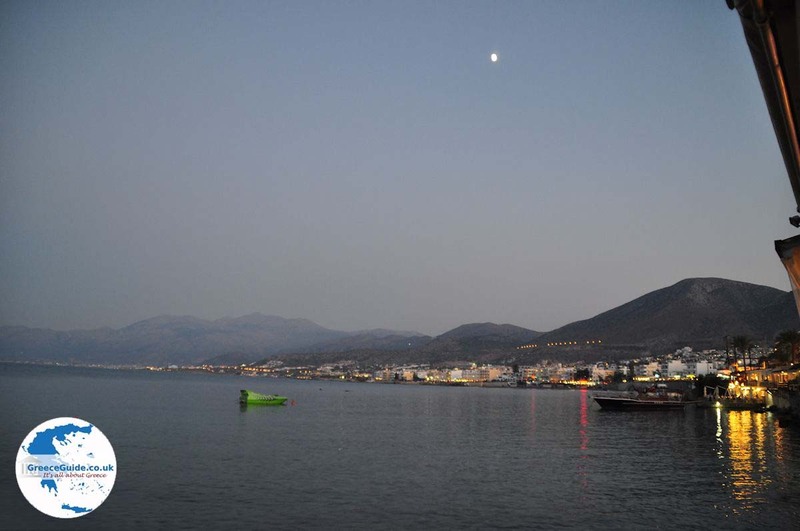 Hersonissos. 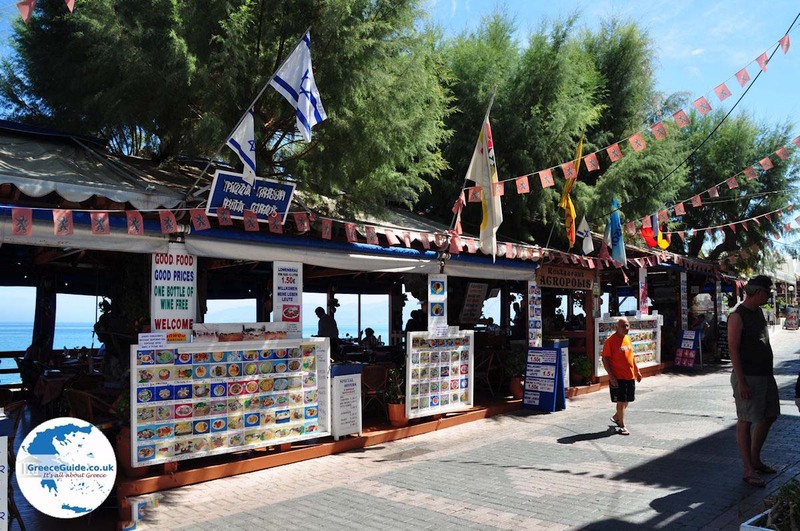 Hersonissos is a tremendously popular, busy tourist resort situated in the north of the island of Crete. 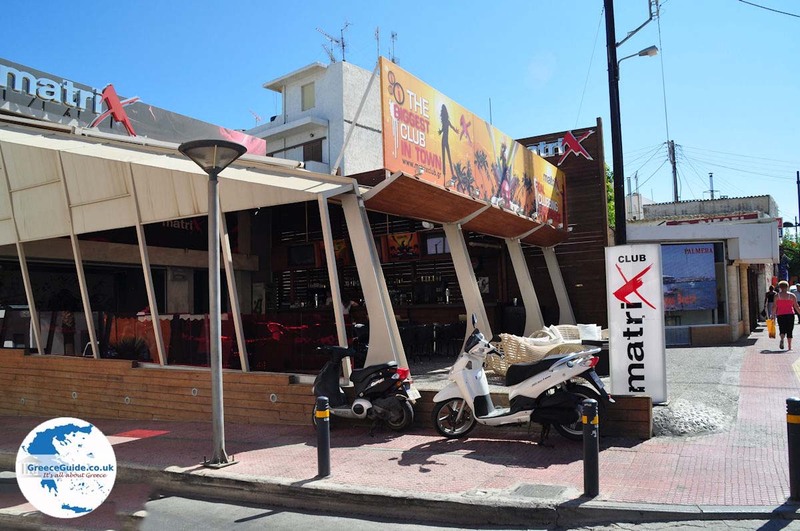 It is located about 26 kilometre east of the capital of Crete, Heraklion, where also the airport is located. 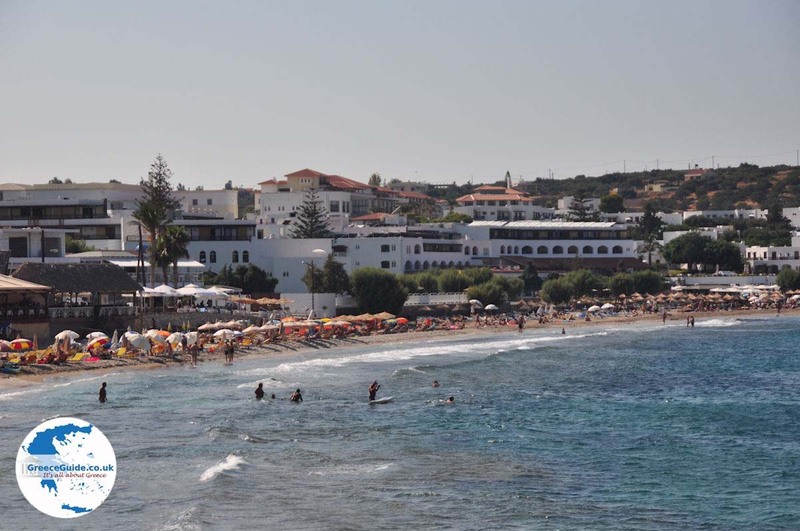 The transfer by bus or taxi from the airport to Hersonissos takes about twenty to twenty-five minutes direct, when there are no other hotel drop offs.. Hersonissos is very busy in July and August and especially young people enjoy and celebrate their holiday in this super popular seaside resort. 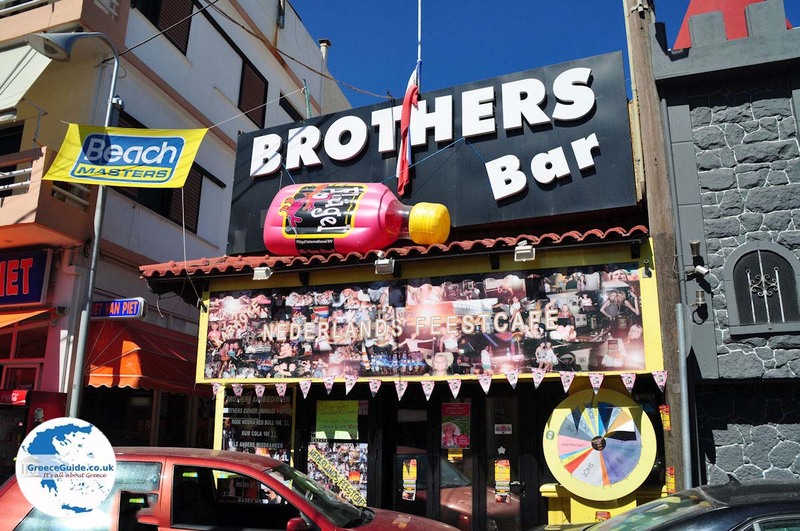 In the months of May, June, September and October, there is a relaxed atmosphere and the place is frequented by families, the elderly and people in their thirties. 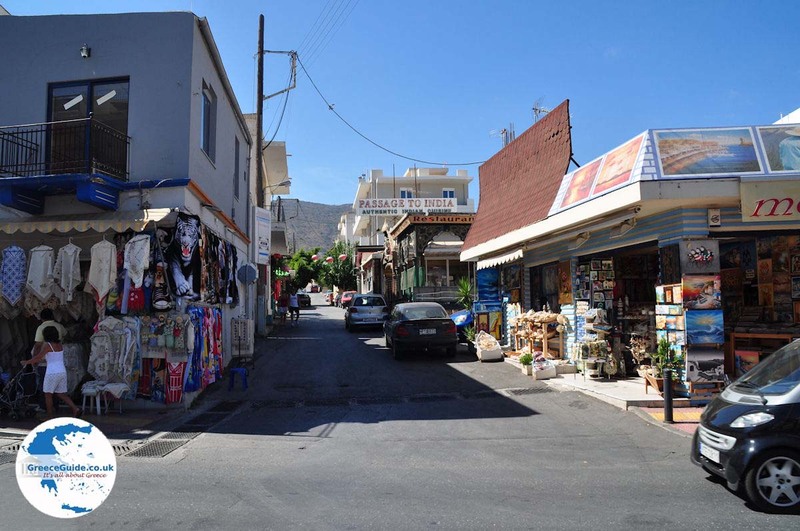 Hersonissos was originally a fishing village, but today it is a long village with a busy main road, there is one big line of souvenir shops, clothing stores, car rental agencies, jewellers, cafes, bars, supermarkets etc. Parallel to this runs the boulevard which is closed for traffic. 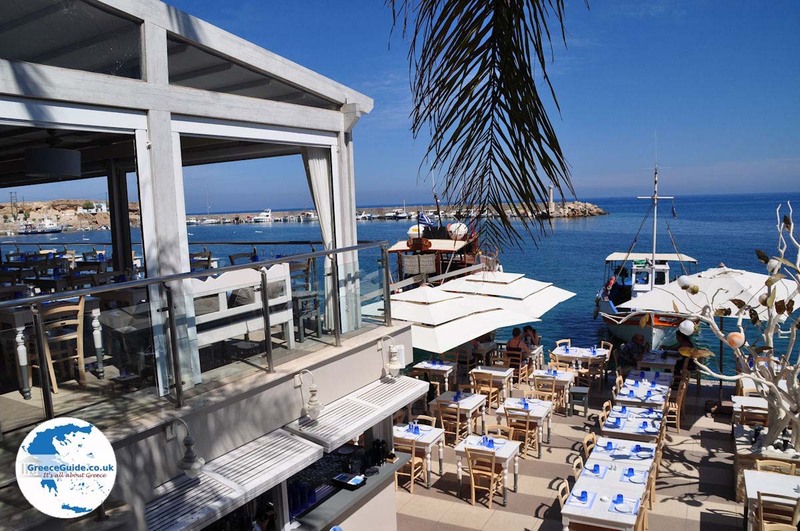 Here, on the beach and overlooking the sea are the numerous terraces of restaurants, tavernas and bars. 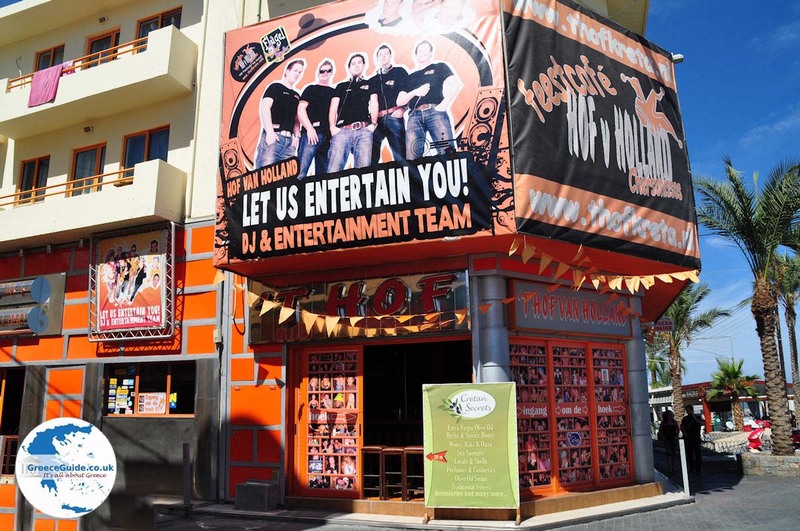 Around the harbour are mostly discos, bars, pubs and other nightspots. 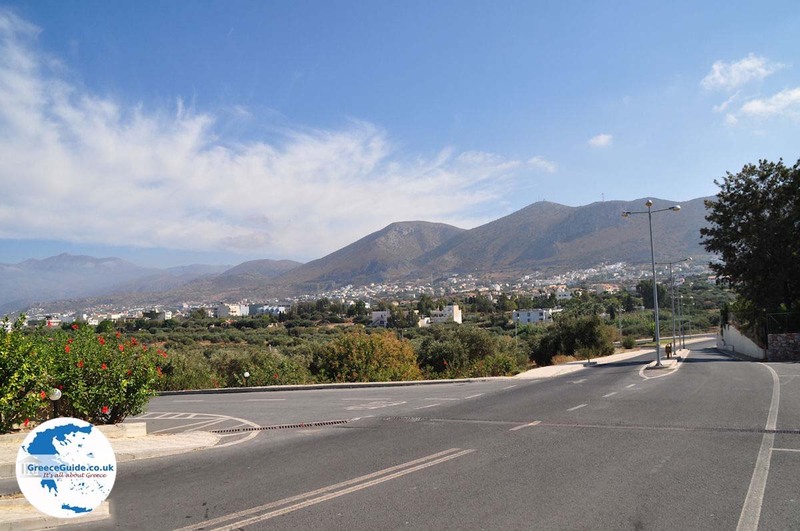 Many other villages near Hersonissos, see map at the bottom. 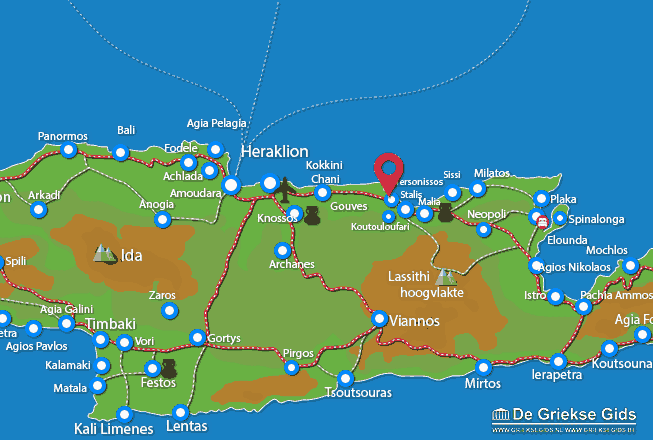 Heraklion Prefecture: Where on the map is Hersonissos located?